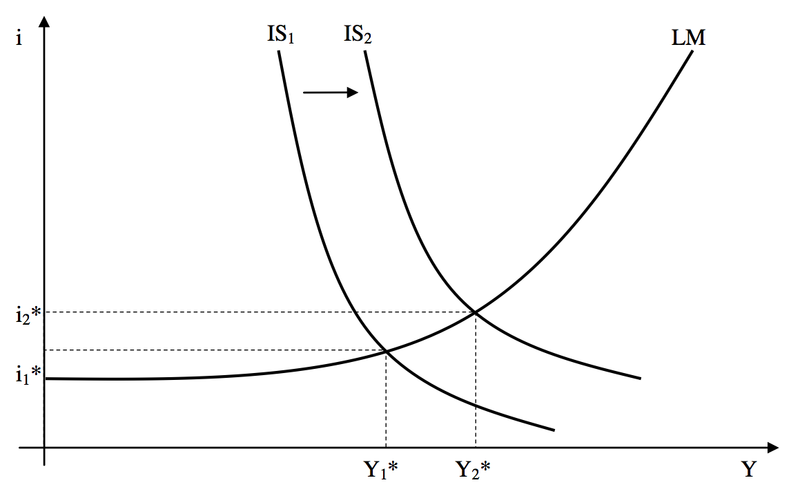 The idea behind this policy is that an increase in money will lead to a lower interest rate (while in reality it is the opposite, as Keynes knew very well – see below). This induces the private sector to invest more, financed by credit. If it were not financed by credit, why would investment than depend on the interest rate? (Obviously, in the case of the investment trap it doesn’t, but that is supposed to be a special case.) 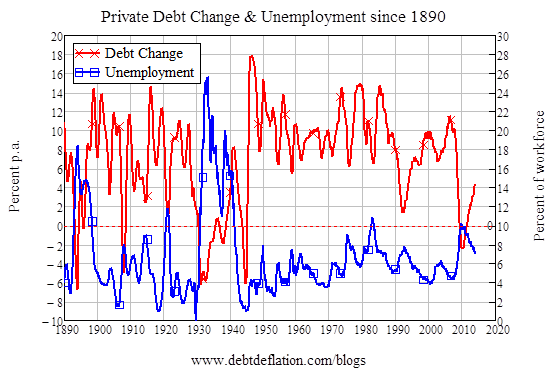 To sum up: an increase in private sector debt leads to more employment. Again, a rise in debt – this time it is the government – leads to a rise in incomes and a fall in unemployment. So, if Krugman and Summer wonder why ‘secular stagnation’ holds only since the 1980s, the text-book model that has been used since the 1950s and is still presented to students world-wide as the first macroeconomic model, says otherwise. The only way to get a rise in employment and incomes in the IS/LM model is a rise in debt, either private or public. If the grant of a bank credit to an entrepreneur additional to the credits already existing allows him to make an addition to current investment which would not have occurred otherwise, incomes will necessarily be increased and at a rate which will normally exceed the rate of increased investment. 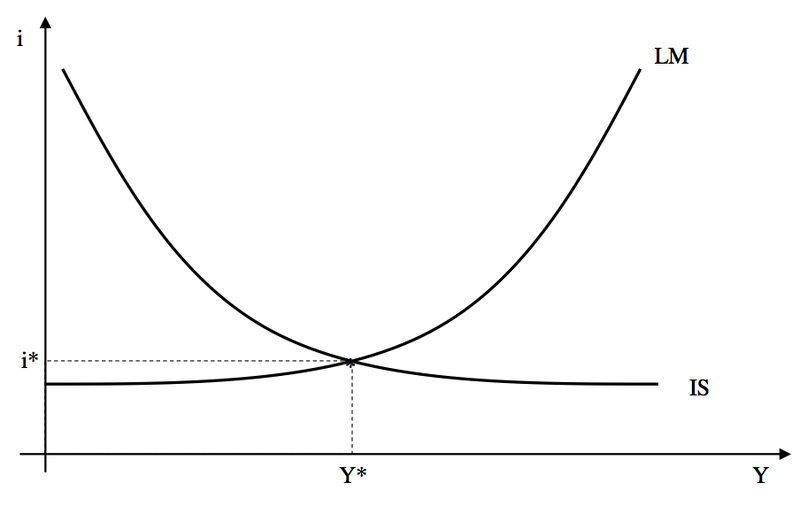 Moreover, except in conditions of full employment, there will be an increase of real income as well as of money-income. The public will exercise “a free choice” as to the proportion in which they divide their increase of income between saving and spending; and it is impossible that the intention of the entrepreneur who has borrowed in order to increase investment can become effective (except in substitution for investment by other entrepreneurs which would have occurred otherwise) at a faster rate than the public decide to increase their savings. Moreover, the savings which result from this decision are just as genuine as any other savings. No one can be compelled to own the additional money corresponding to the new bank-credit, unless he deliberately prefers to hold more money rather than some other form of wealth. This extract from chapter 7 of the General Theory supports my claim (my highlighting). Additional money is created corresponding to the new bank-credit. That money, let me add in explanation, runs through the monetary circuit until somebody decides not spending it. Saving, as was also defined by Keynes, is income not spend. So, investment equals saving by this very mechanism. So, endogenous money already was in the background of the General Theory. 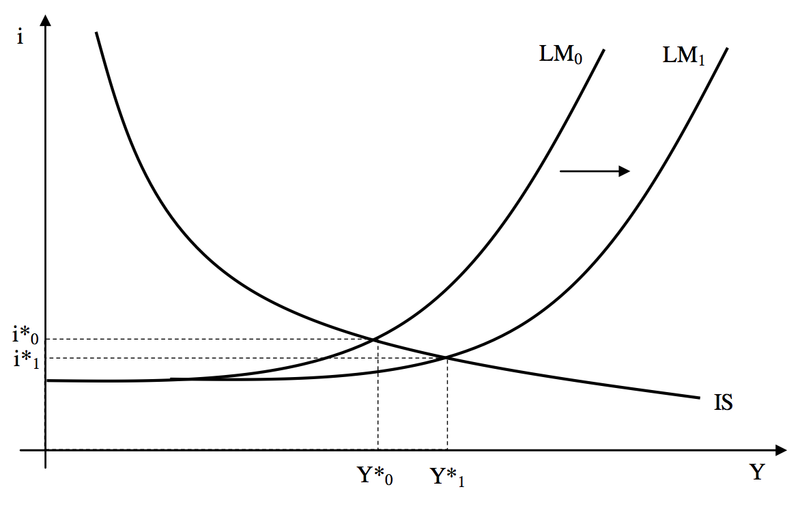 It is strange to find that even the IS/LM model, which is a rough and sometimes even misleading model, has fared so well during the crisis and makes some statements (more debt leads to higher GDP) that apparently have been forgotten/’delearned’ in what Paul Krugman himself called the ‘Dark Age of Macroeconomics’. « Wage surprise and austerity demise – what will 2014 bring?